When we started the Safer Cycling concept we needed some direction, something on which we could concentrate our efforts to best see results for the work we wanted to do, our core task being to keep vulnerable road users safe on their journeys about the region. In order to make our efforts precise and properly targeted we enlisted the help of our in house analysts at the Central Motorway Police Group. They did what they do best, crunch figures, draw conclusions and give recommendations, the results were as expected, well as expected to those with experience of dealing with collisions involving cyclists, and these collisions were often the ones that did not make the headlines. The most common complaint we receive from cyclists and now action in the way of prosecution is the close pass scenario, the classic due care and attention offence. This isn’t to be un-expected, we have even highlighted our own close pass experiences and footage/photo’s on our twitter account and previous blogs. So it’s no surprise to all that this remains the priority for most cyclists and more importantly “those considering cycling” when it comes to keeping vulnerable road users safe. However whether it’s a misconception by many or just a lack of awareness the close pass scenario is far from being the greatest threat to cyclists on our regions roads. Between 2010 and 2014 there were 530 KSI (killed or seriously injured) RTC’s (Road Traffic Collisions)involving bicycles, 517 of those KSI RTC’s (98%) involved at least one other vehicle. Of these the most common vehicle to be involved in a KSI RTC with a cyclist was a car (84% of KSI RTC’s). But this is where the big misconception arises as 75% of KSI RTC’s involving cyclists in the West Midlands from 2010 to 2014 occurred within 20 metres of a junction, involving a cyclist and “another” vehicle. Further analysis (I won’t bore you with the figures, tables etc.) showed that the majority of KSI RTC’s in the West Midlands involving cyclists occur when a car has pulled out of a junction in front of a cyclist that is mid- junction because the car driver has failed to spot the cyclist. Birmingham city centre was the regions hotspot for such collisions, which, as this is where most daily commutes are to and from, and given the heavy traffic volumes, came as no surprise. Further analysis of all KSI RTC’s involving cyclists show that, in the majority of cases there are no environmental factors that have contributed to the collision. In most instances the weather conditions are fine with no winds nor are there any identified carriageway hazards or issues with the road surface. Further, there are regularly no identified special conditions at the collision site (e.g. roadworks, defective signage or markings). Lastly over half the cyclists involved in a KSI collision on the regions roads were commuting to or from work, so in the main we are dealing with experienced cyclists. Anyone still awake after the number crunching? Well it’s onto the interesting bit…. For those of us that cycle daily to work the results came as no surprise. Although the “close pass scenario” remains the greatest concern for the majority of cyclists or for those considering cycling the actual greatest threat we cyclists face on the roads of the West Midlands is the driver pulling out in front of or across a cyclist mid junction, either because they haven’t seen them or miss-judged the cyclists speed or path. Classic close pass at a pinch point, aka. driving without due care and attention. What can be done, well we have two parties involved in this type of collision, analysis of the collisions shows that in such circumstances the blame would lie solely with the driver not the cyclist. This is not uncommon as most drivers are trained and habitually look for other vehicles when negotiating junctions and show a total disregard when it comes to looking for or being aware of vulnerable road users (analysis of KSI collisions involving motorcyclists and pedestrians would prove similar). We could make use of social media, press releases etc. to tell motorists to “look out” for cyclists, but this has been ongoing with both cyclists and motorcyclists and although has some positive effect it doesn’t reach the target audience we need to engage, those unwilling to take on the message or dismissive of vulnerable road users altogether, which given the rise in KSI collisions involving vulnerable road users seems like the majority of motorists. Our time and effort, we have quickly realised, is better spent enforcing the law and prosecuting, thus creating a scenario whereby should someone not give a cyclist the time and space necessary or fail to see them completely they should expect to be prosecuted. In other words the carrot goes out the window and in comes the stick. Why some might ask? Well if drivers expect to be prosecuted for committing offences they suddenly stop committing them, unsurprising correlation I know but it’s the truth. Once drivers become aware that an infringement involving a cyclist is one they should expect to be prosecuted for, they suddenly become more aware of them on the road and in turn start giving them the time and space they should lawfully have as an equal road user. Cyclists suddenly occupy a drivers attention, they actively look out for them and so are less likely to miss them at junctions and contribute to our KSI statistics. Any offence that would contribute to a driver failing to see a vulnerable road user needs to be enforced, and as has been considered of late, some say needs a greater penalty. 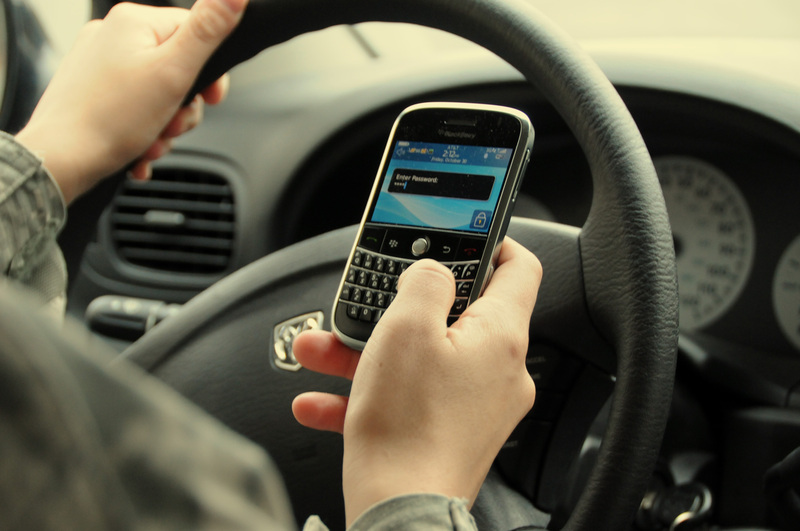 Whether that be excess speed that doesn’t give the motorist time to see or react to the vulnerable road user, distraction offences such as mobile phone use, or drug and drink driving. So drivers need to expect a zero tolerance approach for any offence involving a vulnerable road user, or an offence that could contribute to a collision involving a vulnerable road user. The only way to change driver behaviour and concentrate minds on looking out for vulnerable road users and change driving habits is through enforcement, and the resulting fear of being prosecuted. Now for those who will no doubt be spitting out their finest percolated roasted bean brew at this moment screaming “what about the cyclists !” well…….statistical analysis shows they aren’t to blame, innocent in the majority of KSI collisions it would be a waste of our time, and thus public time and money to concentrate on cyclist behaviour. The figures speak for themselves…….driver’s don’t let your prejudices get in the way of the truth……. Before we carry on, this next section isn’t victim blaming, having read the last several paragraphs you should all have no doubt as to where we think the responsibility lies for the majority of KSI collisions involving cyclist’s and vehicles on our regions roads. I have no doubt a few will be appalled that we offer some safety advice to cyclists on what to do and look out for on the approach to junctions but this isn’t your standard advice, it comes from our thousands of hours watching road user behaviour from an trained advanced road user perspective, even the doubters might learn something from the next section…….and if you’re prepared for the worst you can often avoid it. Don’t look at the eyes…. Many will say “make eye contact, this ensures they have seen you”, absolute rubbish this, half the time they will be looking not at you but right through you. Ignore the eyes of the driver; watch the wheels of the vehicle instead. A vehicle won’t move without the wheels moving, and you will see the wheels move far before you realise the vehicle is moving thus giving you that split second extra that to react and hopefully avoid a collision. A red light never stopped anything…. Don’t think hi viz clothing will keep you seen, although hi viz has a place in some circumstances such as low light conditions, it is contrast that catches the attention of the driver who might pull out on you, that, and movements the human eye and brain are wired to detect. White and black all have their place in being seen, white is a particularly visible colour not often naturally occurring so stands out, ever wondered why traffic officers hats are white ? It’s not because we want to look like ice cream salesmen! Lateral movement on the road on the approach to a junction triggers all the receptors visually that drivers need to see, recognise and subsequently react to the cyclist on the road. In low light a flashing front light doesn’t hurt either. So moving out an extra 6 or 12 inches on the approach to a junction can go a long way to making you the centre of the waiting or approaching driver’s attention, as an object moving steadily towards you in a straight line can be missed, the object that is coming towards you with some sideways movement is more easily seen by the drivers whose attention we wish to occupy. Cycling is a fantastic thing, it’s benefits are well documented, traffic congestion is reduced, as is pollution, health and wellbeing are boosted for the participants and not forgetting the resultant benefits of less dependence on a stressed NHS. When it comes to playing our part in supporting cycling and cyclists it’s not a case of “why should we?” it’s a case of “why wouldn’t we?” Supporting cyclists and cycling is really a case of policing for the benefit of all, a prime case of policing for the greater good of the community. So what can we do to do our bit ?, to encourage along with our partnership agencies people onto bikes and get the personal and community benefits already discussed. Well as we already touched upon in the first part of this blog, people’s fear of the dangers of cycling is the largest barrier, particularly the close pass. The media plays a large part, every cycling tragedy is to the fore, not that they shouldn’t be, such incidents can be a force for change but there is very little to re-address the balance, to convince people that cycling is safe. We as a force must do our upmost to protect the vulnerable on our roads and convince them that if anyone does endanger them on the road the perpetrator will be dealt with. The flip side of this is of course that anyone endangering a vulnerable road user should expect to be identified and prosecuted; this is the key to policing the problem. 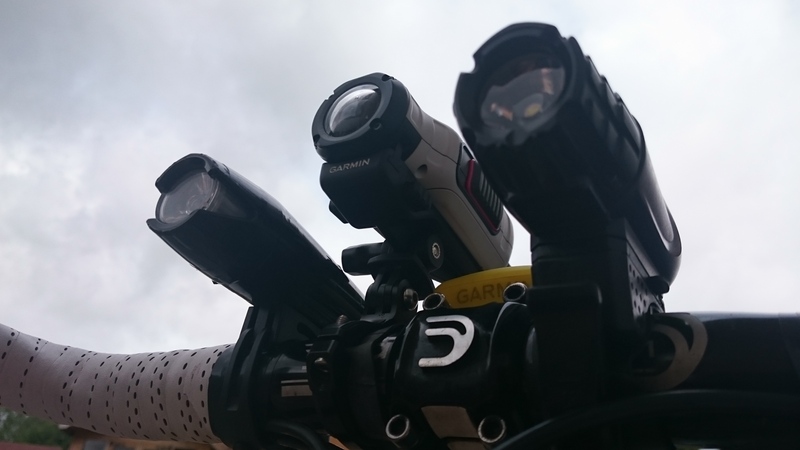 Although we have had great success prosecuting using cycle camera evidence sent to us by cyclists, not all, even those running cameras on their daily journeys have the desire to start reporting offending drivers (as previously discussed here : Lights, Camera, Action ! ). Is there any room left ? going to need bigger bars! Lights, computer and now the all important camera. So we need to be proactive, and so in partnership with Birmingham City Council we have a new partnership scheme which will see a traffic officer riding the most vulnerable locations for cyclists looking to instantly act upon close passes, distracted driving and the like. The cycling traffic officer when passed too close will let the officer up the road know, who will in turn stop the motorist. Then the offender will be given a choice, prosecution or 15 minutes spent being educated as to the correct way to pass a cyclist. It’s simple but effective, drivers are shown how far they should be from a cyclist, we have chosen the widely advocated 1.5mtr as our minimum but of course a much further distance will be needed in many circumstances depending on the vehicle type and speed. For instance if the opposite carriageway is available for an overtake and isn’t used in its entirety the driver will be pulled and shown why they should utilise all the available road room available to facilitate a safe overtake. A full sized replica road floor mat with various hazards positioned on it will give perspective and equip drivers with the knowledge needed to prevent further offences being committed. Those who are committing any other offence as well as the “close pass” due care offence will be prosecuted for all offences, no immediate educational alternative for those who show such a low standard of driving. Expect prosecution, not education for anything of this standard ! Following a period of education at a particular location if offences persist we will have “enforcement” only days where education isn’t an option for those committing close pass due care offences. Hopefully given the amount of publicity we anticipate this tactic will receive, most drivers should very quickly get the message and hopefully the enforcement only days should be few and far between! We anticipate a change in driver behaviour as awareness of the tactic spreads, after all, every cyclist on the road ahead may well be a traffic officer on the operation, as our cyclists will not be liveried in any way, drivers will have no way of knowing ! Well that’s it for this blog, that’s where we are at, anyone from the media who would like more details of the new “Share the Road” scheme which proactively deals with close passes or attend a media launch day for the scheme in the coming week please contact Brigg Ford at our Corporate Communications Department, as for the rest of you, feel free to tweet us with any questions. Take care and safe cycling. This entry was posted in Blog, Safer Cycling, Traffic Blog and tagged bicycle, Cake, camera, close pass, CMPG, Cycling, distracted driving, due care and attention, mobile phone, Police, Policing, safer cycling, share the road, Traffic, twitter, West Midlands Police on September 9, 2016 by pchodson. Sorry we’ve been a bit quiet on the blogging front recently, to say we’ve been busy is an understatement. Projects in partnership with RoSPA concentrating on driver behaviour towards cyclists and preventing young driver fatalities on rural roads have taken up large amounts of our own time that we usually allocate to blog writing and other projects (for those who weren’t aware the blogs are written in officers’ own time, not while at work). Now those two RoSPA projects are completed and released on the RoSPA site, it gives us time once again to commence our keyboard bashing regards those matters that dominate our Twitter feed or have risen to the fore as community traffic related priorities. So expect a more regular flow of blogs and the odd special feature in the near future, but for now in the latest two blogs we shall discuss Cash Cows, Stealth Taxes and Revenue Raisers (aka Speed Checks), and of course last time we talked about our renewed efforts and tactics to tackle the Boy Racer problem (the Foolishly Fast and the Furiously dangerous). But as the latest TISPOL Speed Campaign Week draws to a close lets take a look at why speed checks remain a vital part of our daily work and dismiss a few of the “Urban Myths” that surround Speed Checks aka. Cash Cows, Stealth Taxes and Revenue Raisers. A little “tongue in cheek” obviously this one. Every time a speed check is conducted by ourselves and we tweet about it there are always one or two social media keyboard warriors that cry from their tin foil lined conspiracy bunkers “Milking the Cash Cow”, “ Fleecing the hard pressed motorist” , “No proper criminals to catch”, “Stealth Tax” What you must realise is that like most forms of husbandry, milking our speed check Cash Cows is hard work……just watch Country File, hard pressed in modern times Farming folk are….I am of course joking there is no such thing as the proverbial Cash Cow in any of the road traffic enforcement we carry out, as you will now see. In order to dispel the Cash Cow myth we must look at why, how and where we conduct speed checks. Now our speed checks involve our highly trained CMPG Road Policing officers being at the side of the road utilising a Pro Laser III device. We do not operate the camera safety vans, which are independent of our department. However these vans deploy on the same principles that I am about to outline so hopefully no further questions should be needed following this blog regards speed enforcement in the West Midlands region. Why do we need speed checks? Speed kills, there is no doubting this. Whether as a singular factor or as an aggravating factor in combination with other judicious driving actions it is present in the majority of fatal and serious collisions we attend and subsequently investigate. It is actually present in the majority of all collisions. If you have been involved in a collision of any sort and reflect impartially on the circumstances that led to the inevitable collision, and factor in a slower speed for all parties, you will realise that a slower speed would have prevented or at least lessened the consequences of the collision. Speed checks won’t prevent all collisions, they will slow the majority of motorists at vulnerable locations however, and if you slow even just a few, due to our ever increasing traffic levels (more on this in a later blog) you will slow the majority. For those who think they are good enough drivers to travel above the speed the limit let us give you a blunt reality check. You are not. Why? Because everyone makes mistakes. There is no such thing as the perfect driver. Even as advanced drivers with months of specialist training under our belts we will make mistakes, such is the human condition. However unlike the majority we drive defensively, even when at speed, and never to the limit of our personal ability. We ensure we always have time and room available should something unexpected occur on the road around us, all this with the thought of the consequences of a mistake firmly embedded at the front of our minds at all times. As we see all too often the consequences of excess speed on a daily basis and the carnage it causes. Always remember that the mistake may not be yours that leads to a collision, but if you are driving in excess of the speed limit you take away the most vital factor that may lead to you avoiding or lessening a collision, and that is time to react. Whether that reaction is avoiding or simply slowing the impact speed of a collision, it is this that will save you or someone else’s life. When you also take into account that the main increases we are seeing in the those killed or seriously injured on our region’s roads are vulnerable road users, the elderly or child pedestrian, the cyclist or motorcyclist, and the young inexperienced driver, you can see how important that travelling at or below the speed limit is to the survival chances of these vulnerable groups of road users, should you or they make a mistake that leads to a collision. Why speed checks are needed, more vulnerable road users are being killed and seriously injured. For those who need further convincing as to why we need to carry out speed enforcement and have dismissed our wise words as the rhetoric of “Government employed road enforcement stealth tax collectors” we suggest you speak to your local coroner, who presides over the inquests of hundreds of fatal collisions, or maybe have a look at BRAKE or Road Peace websites, or for those brave enough, seek out your local road death support group and speak to the bereaved, who live a life without those who have died due to speeding drivers. I guarantee those who are still overly paranoid, the “it’s all about me” selfish road users out there, that none of these people or organisations have hidden Cash Cow stealth tax raising intentions, much like us they exist to save lives. Of all the fatal four offences it is speed that kills the most, all be it usually in a deadly cocktail of one if not all of the other fatal offences. And finally on the “why?” factor. We have to do it because it’s a problem and a cause of community complaint that will never go away due to the overwhelming selfish nature of many drivers on our roads. As you will know if you are out there on a daily basis it’s fair to say the average standard of driving is at an all-time low as is the attitude of the majority of drivers we encounter. The “me, me, me” attitude that prevails in modern society really has no place on our roads. Unfortunately very little consideration is given to other road users or the consequences of inappropriate or offending personal road use, and so we have a never ending supply of drivers who endanger others and as a result occupy our precious finite time. This will help relieve the paranoia of the ‘Cash Cow Conspiracy’ brigade as we don’t carry out speed enforcement at locations or at times when it is easiest for ourselves to catch a high volume of speeding motorists; actually quite the opposite. Locations are chosen for a variety of reasons, none of which account for numbers of drivers who may be prosecuted. The first consideration is proximity to recent KSI (killed or seriously injured) collision locations where a major contributory factor to the collision was excess speed. Often we will do speed enforcement at the historic location of multiple KSI collisions. You will often see us on the A45 Small Heath Highway, A45 Coventry Road, A34 Stratford Road just meters away from floral tributes to the deceased, sadly taken from their loved ones by a speeding driver. The enforcement will take place at the time when most of the KSI collisions occur, which may mean rush hour or 2am in the morning – statistical analysis of collision figures tell us when we need to be in the right place at the right time. This is often not conducive to catching large numbers of offenders but is conducive to preventing further KSI collisions at a given location. Anyone who questions why we carry out enforcement at these locations really shouldn’t be driving. Despite officers being highly visible, many fail to notice a speedcheck and accelerate towards the check site ! We will carry out enforcement at vulnerable locations at peak use times, for example outside or near schools, in the locality of parks or children’s playgrounds, on the approach to pedestrian crossings. Again the logic of speed enforcement at such locations is obvious – we are protecting some of the most vulnerable in society from some of the most dangerous, protecting children from drivers who don’t have the sense to drive to the speed limit and with care at such locations, and again those whose question it really do not have the correct aptitude to drive on our roads. Lastly we will carry out enforcement where we get a large amount of complaints from the community regards speeding motorists. We police for the community and if it concerns them well then it concerns us. Such concerns and the resulting action of enforcement will often stop an inevitable tragedy that would occur if left unchecked. It is amazing though that when conducting checks at such locations it is always common that at least one or two reported motorists will utter “I was one of the people who complained” or even in one case “I’m the councillor who highlighted the problem”. This is typical of the speeding driver, and most offenders generally on our roads, they are very quick to admit there is a problem, but sometimes slow to realise they are a part of it. Now those who are still mumbling or yelling “It’s all about the money, money, money” let me tell you how we conduct a speed check at the locations and times as detailed above and further ease your troubled minds. If the road has a 40mph or 30mph limit and the road layout allows a safe stop of an offender to be conducted on foot then we will be standing at the roadside, speed gun in hand catching and reporting one at a time. Not all vehicles are checked, we only check those who obviously travelling in excess of the speed limit, if you read our Twitter updates you will see that results often refer to something along the lines of “several caught travelling at speeds from 40mph to 58 mph in a 30mph limit”. This gives you a good idea of the parameters we work to. We don’t target speeding drivers, we target dangerous drivers. For example let’s illustrate using a 30mph limit check, those travelling a few miles an hour over the limit will be ignored, those a little faster may get the customary slow down signal or wag of the Traffic officer’s finger, those who are a little faster will be stopped, their documentation and vehicle checked and verbally warned, your speed will have to be a good way over the 30mph limit to trouble our pens. Also consider that if someone is stopped at 39mph their speedo will be showing somewhere in the 40-42mph region as all manufactures calibrate in the region of +2-3mph. (Just compare your speedo reading to a GPS reading). We are never short of customers though and given the margin over the speed limit where pen is put to paper, those stopped are either intentional speeders or dangerously absent minded! It takes approximately 10-15 minutes to deal with an offender in this manner so even at the busiest of check sites where lots of offenders are participating in the check due to their dangerous speed an officer can only deal with four to five offenders maximum an hour. This is our average per officer for a check generally in the West Midlands. Although this method is nowhere as efficient as a camera or speed van when it comes to catching speeders, it is ruthlessly efficient in other ways. As we check every vehicle and driver stopped it brings to our attention all manner of other offences both traffic and crime related, the majority of our arrests stem from routine traffic offence stops. Plus the sight of the “Black Rats” in action at the side of the road has the psychological impact we desire, those reported know exactly what has caused their pain, the standard of their driving, and for those who witness us reporting other drivers from their passing cars as they travel by they become suitably paranoid, expecting the check to be there again in the coming weeks. This of course slows traffic in our absence. Our approach is one of creating an atmosphere and culture where drivers should expect to be caught and prosecuted, this is the only way road offending can be successfully combated. Those who believe there’s a chance they might be caught generally don’t offend, it’s a simple logic but a true one. The reason that so many currently offend is the prevailing belief that they won’t be caught, trust us when we say this will change…. On faster roads where it is too dangerous to stop vehicles on foot we will utilise a patrol car to do the stopping. This brings the number of offenders dealt with an hour down to four to five with a double crewed car dealing, effectively halving our effectiveness. So as you will quickly realise with these numbers our “Sacred Cash Cow” won’t rectify the budget deficit anytime soon….it is however our most effective way of targeting and removing the most dangerous speeding offenders from our roads. If revenue generation was our aim we would just sit on overbridge on the M40 or Toll Road, finding ourselves having to report every other vehicle that passed, such is the level of offending at such locations, the revenue generated would be huge. Again the drivers would only have themselves to blame, after all a speeding fine is an “opt in tax for the poor of driving”, but we don’t as it would not impact on our KSI figures, which ultimately is the aim of our department, saving lives. There is no hiding in bushes or behind bins, we will always be draped in enough fluorescent yellow to tent a small village, white hats atop our heads and standing usually alongside a marked car. At night on darkened roads we will wear a red light for extra visibility or even have the flashing reds illuminated on our car. Those who don’t look far enough up the road to see us and are travelling at speed are our intended quarry, these are the most dangerous of drivers. We do not have to be visible at a check, it does not have to be signed or warned of. The law does however state that you as a driver must not exceed the speed limit. We like to be visible for health and safety reasons, some don’t even see us until the last minute when we are standing in the road instructing them to stop, not being visible is asking to become another casualty. As for those who fail to stop or deliberately drive at us, it just shows we are encountering and subsequently catching the right people. For those who think they should be warned of a speed check we are thinking of developing a new sign that reads “Speed Check in Progress, at any given time, on any given date on this road somewhere in the next 10 miles”. Let’s face it if you need a sign to urge you to be capable of looking down at your speedometer and then adjusting your right foot in the appropriate manner to maintain a safe and lawful speed then you really shouldn’t be driving. And for those who believe otherwise our officer manned checks don’t need signing. But what about police cars….. The next war cry of the tin foil hatted conspiracy spouting keyboard warriors who despise speed enforcement is “What about police cars, I always see them speeding, marked and unmarked cars without their lights and sirens on, one rule for us and one rule for them…” Well for a start police cars, as is the case with all emergency vehicles, have a lawful exemption. It is literally one rule for us and one rule for you,… as long as it is in the lawful execution of our duty. Now as you can imagine that covers so many scenarios it’s hard to know where to start but let’s just cover a couple of the common ones that we find ourselves engaging in on a daily basis. Firstly, the traffic car at speed without lights and sirens. Quite common this, especially when we are trying to make progress towards an offence location or offending vehicle without alerting the offender of our impending presence. Secondly the traffic car overtaking other cars at say 10 to 15mph over the limit, quite simply we are using our exemption to look at vehicles and drivers in order to spot offences. If we did the limit or just under we would stay with the same vehicles for mile after mile and be largely ineffective. If we slowed to let potential offenders pass we are spotted and offenders hang back avoiding detection. By using our exemption we can approach fresh vehicles and potential offenders from behind giving ourselves and our ANPR capability and continuous supply of new opportunities to make the roads safer. Just remember that whenever a police driver uses an exemption to break the speed limit, or any other road traffic law, we must justify it. Traffic cars have continuously recording video and audio, increasingly our fleet are being fitted with data recorders, we are the most scrutinised drivers on the roads as we should be. If caught there are three disposals for your offence. Firstly if you are at the eligible you may be offered a speed awareness course, you and your offending speed must fit the criteria (easily found via a Google search). If you don’t fit the speed awareness course criteria due to your recorded speed or driving history then its either a conditional offer of three points and a fine (again eligibility criteria easily found online), if your speed is such that you don’t meet the conditional offer criteria or you have reached the point of a potential disqualification through totting up then it’s a day out at court I’m afraid. Do courses work some ask? Well yes in the majority of cases they do, they certainly bring a realisation to those who have forgotten or simply never knew the threat they carry to innocent road users through their intentional or unintentional offending. A few last words of advice if you are caught speeding. Yes the gun is always calibrated and we are properly trained, we don’t like wasting our time…. No we haven’t got better things to do as dangerous speeding drivers are real criminals, especially as they could potentially kill and injure innocent members of the public Never say “I thought it was a 40” or the like, it just provides further proof of your poor standard of driving. There are countless places to go to the toilet. The money generated does not go to our Christmas Party fund, it goes to central government If you utter the words “It’s an emergency” just ask yourself why you haven’t called the emergency services, probably because it’s not an emergency. Speed is no way to avoid a potential hazard, so don’t say you were speeding to avoid another car or overtake a poor driver, if you remove speed out of an hazardous road situation it inevitably resolves itself, adding speed only intensifies a hazardous situation, and further shows poor decision making and a poor standard of driving, such an excuse can only aggravate not mitigate an offence, especially at court. Remember, as painful as it is, if caught you only have yourself to blame, no one makes you speed, and for those who still are not convinced that it’s not all about the money, money, money (all credit due to Jessie J), then let’s just agree to disagree, and settle with speed checks being a voluntary tax on dangerously poor drivers, I don’t think anyone capable of sensible thought could disagree with that. This entry was posted in Blog, Traffic Blog, Uncategorized and tagged fatal4, Police, Policing, Speedcheck, Speeding, Traffic, West Midlands Police on April 25, 2016 by pchodson. This has been an issue for so many years, certainly for the 17 + years I’ve been policing the West Midlands. The problem has grown and grown, fuelled by a now social media powered generation eager for cheap thrills without consideration for the consequences of their own actions. Pretty representative of the country as a whole some might say. Despite numerous warnings and wise words given, all falling on deaf ears unwilling to heed good advice, we find ourselves now in a situation where the car cruising scene and the anti-social behaviour problems and illegal street racing it brings with it, regularly top our communities list of concerns, and as a result ours. On the hunt, they are not discreet and therefore easy to find. Lots of misconceptions about the car cruising scene, so here is what goes on weekly on the streets of the West Midlands. Social media arranged meets at suitable locations where racing can take place bring offenders from all over the region, and sometimes further afield, we having dealt with drivers who have driven over 100 miles to attend and partake in an illegal pastime that affects the quality of life of thousands in midland communities. A stretch of dual carriageway with an island at either end with room for onlookers to view and park adjacent and close to the racing is preferred. Not all attend to race, some attend just to watch, but both are just as guilty, after all those who do race just crave attention, no audience would mean no racing and no anti-social behaviour, you get the idea. If you turn up to watch you are part of the problem, expect to be treated as such. Those who attend will say they gather just to admire the machinery, well this happens every weekend with classic car enthusiasts, modified car enthusiasts, motorcyclists etc., but they do it at a place where they have had permission and without affecting anyone else, so in these circumstances there are no problems. But when car cruisers meet at a location they have no permission to gather at, and then offences and disruption start taking place, we get calls that can total hundreds a month. We get collisions, we get petrified innocent road users, and local communities and businesses whose lives are affected and who feel under siege every time they gather. Although the tag “boy racer” is a favoured term of the majority for the offenders who attend, many are older, many are female, some with families, good jobs, responsibilities and normal lifestyles away from this offending, that they portray as a hobby or interest. The trouble is when they attend they quickly forget their responsibility to the wider community, a selfish desire to get cheap adrenaline fuelled kicks takes priority over everyone else’s safety and wellbeing, and as such the response to a problem we have to put an end to is harsh, as you will see. As we have previously mentioned, this is a historic ongoing problem for the communities and innocent road users who become victims of these offending car cruisers and street racers. For years we have tried to reason with the offenders, tried to make them see sense, point them in the direction of legal alternatives to their offending in the shape of track days, legally organised insured meets at showgrounds or airfields, but alas, they are not interested, they want cheap kicks at the expense of the greater law abiding public. Previously we were reactive when it came to the problem. The calls would come in, a marked unit, local, traffic or CMPG would turn up, on went the flashy lights and the problem slipped away in convoy to harass and intimidate another neighbourhood. The problem was temporarily solved but the next day, next week it re-appeared. There were no consequences to the offending. Now since the policing of the roads has fallen under the CPMG “umbrella” with its regional co-ordination and intelligence capabilities we have the resources to go on the offensive, literally 24/7 against the car cruising and street racing offenders. Firstly we had the intelligence gathering phase, most offending is arranged via social media so we took a great interest in what was happening regards organisation and the main players. Then we gathered a list of all those that attended the meets and locations where offences were taking place. This has resulted in a data base of nearly 600 registration numbers that will automatically alert on any of our ANPR systems, meaning we can track, tackle and take off the road anyone who attends any of the meets all of the time. So you could attend a meet, be part of the problem at the weekend, but it won’t be until you are driving to work, taking your mom shopping, taking the kids to school that we stop you, anywhere anytime we will make you accountable for your actions. We now go out looking for offenders proactively, this is the current phase, we suddenly appear in unmarked cars in the middle of their racing, the video footage is damning in court, as is footage from a helicopter or spotter at the side of the road. That person filming you racing, trialling or doing a burnout etc. with their phone, could well be a plain clothes officer. Good job there wasn’t a passenger ! Feeling paranoid? You should be. Get caught racing or trailing on the public highway and the consequences are simple, once we have you stopped you will be reported for racing on the highway, driving without due care or dangerous driving and also driving with no insurance. No insurance ?, yes no insurance, there isn’t an insurance policy in existence that covers you for illegal street racing or trailing – just check your policy or ask any underwriter. Insurers are the most risk adverse people in existence so as you can imagine, Illegal street racing, trailing and just being in the locality is a massive no-no. So as well as a court appearance if you’re caught in the act of racing or trailing we will seize your vehicle under S165 RTA as it was being driven outside the limitations of its cover whilst you were committing the other offences. Oh and we’ll chuck in a S59 warning just for good measure also, we never miss an opportunity. As the onlookers gather we look at them for modified vehicles with offences, those with modifications that make them dangerous and unroadworthy, modifications that clearly haven’t been notified to the driver’s insurer. If you have to lie to your insurer to get insurance, you have no insurance. A false statement to obtain insurance is a serious offence in itself, but it leaves you without cover and as a result walking home. A replacement racing steering wheel without an airbag, a lowered vehicle with wheels that won’t turn to full lock without rubbing, race seats, harnesses, body kits all mods that render your vehicles NCAP safety rating useless, insurers don’t like modifications especially if you’re under 25 years old. Any performance enhancing modifications are always a certain seizure without a specialist policy from a specialist insurer. After all if your production car isn’t fast enough, or stops well enough when it leaves the factory it says a lot about you, how you want to drive and your subsequent risk to an insurer. We have discussed at length with technical motor insurer underwriters what they will cover and won’t cover and under what circumstances. An illegal unroadworthy vehicle due to modifications is an uninsurable vehicle, and the easiest one to spot is driver’s window tints, any illegal tint to a driver’s window makes it uninsurable, insurers don’t cover vehicles that you have modified to be in a dangerous condition. And yes we will even notify your insurer of undeclared replacement aftermarket exhausts, stereos, body stripes/stickers, after market alloys etc., it really is zero tolerance if you give us cause. If you are found racing, watching the racing, taking part in a gathering that has caused calls regards anti-social behaviour etc. have no doubt, we will deal with you in the harshest way the law will allow, don’t say we didn’t warn you all, we’ve been asking nicely for years. Get caught racing or trialling and convicted at court you’ll be lucky to walk out with your licence. If you are caught where an injunction is in place then the going rate is 5-6 months in prison if you have no previous convictions, yes that’s right, first ever offence gets you prison under these circumstances. The Dudley injunction has proved especially productive regarding sending illegal street racers to prison, they were warned …… Many other regions are copying Dudley’s approach and are seeking similar injunctions, are your 30 seconds of racing really worth prison? Gosh your family would be proud…..
Like we said, we will seize your car as no policy insures you to race or trial on a public road. When you come to get it back our specialist insurance officers at Operation Piranha will call your insurer and inform them of your actions, if your car is leased or financed they will also call them as well, after all they have a vested interest in your car and how it’s driven, finance agreements and lease agreements have been cancelled as a result of our calls, bye bye car, bye bye credit rating, bye bye your chances of getting affordable insurance for the next 10 years. And once you’re convicted, the racing on the public highway, no insurance and due care/dangerous driving convictions leave you next to uninsurable unless you have the bank balance of a Premier League Footballer. A high price to pay for 30 seconds of showing off, don’t you think……. Undeclared modifications, false addresses, false ages, undeclared convictions regarding your insurance will really complicate your life and driving. Out of office hours we will have to seize your car if it’s obvious you’ve given a false statement to obtain insurance. If your car has dangerous modifications that make it unroadworthy, it is uninsurable so a seizure is inevitable, you obviously haven’t told them as insurers don’t insure vehicles that have been intentionally modified to a dangerous condition. Get stopped during office hours, and thanks to our ANPR database of those who attend car cruising events these drivers are easy to target now, and we will just phone the MIB (Motor Insurers Database) and they will call an underwriter at your insurer and see if firstly you have declared all relevant modifications, convictions, if your address and occupation are correct etc. etc. Anything undeclared or falsified usually results in a policy being voided from inception, so you walk and have a no insurance and dangerous condition prosecution to look forward to. If your policy isn’t voided from inception you will have your policy cancelled upon collection of your vehicle with notice, meaning usually you will get your vehicle back but the insurer will cancel your policy due to your false statement. 99 % of all of our Operation Hercules seizures have resulted in voided or cancelled policies, the insurers are fully supportive of the stance we take regarding car cruising, illegal street racing and lying to get insurance, again you have been warned. A cancelled or voided policy is something you carry for a long long time and can be more impactive than a no insurance conviction. After all every time you apply for insurance of any kind, it might be travel, home life, mortgage etc. they always ask “Have you ever had a policy cancelled or voided?” As you see your little car cruising adventure or street race can have far reaching consequences. Don’t believe us just read on…..
Let’s start with the undeclared modifications. A Honda Civic is spotted on a routine speed check mid-afternoon in leafy Solihull. The car is being driven in a normal manner, not at meet, but it is quite clearly heavily modified and is one of our target vehicles, as you can see from the pictures. Modifications include body kit, spoiler, weight reduction, racing steering wheel (minus airbag), aftermarket alloys, performance air filter and manifold etc. etc. The pictures speak for themselves. The vehicle was insured with a run of the mill high street insurer as a standard production Civic, the driver, being 20 years old knowing full well that disclosure of the modifications would prevent him being insured unless he sought out a specialist insurer and policy costing him a great deal more. A quick call to his insurer on our behalf by the Motor Insurers Bureau and the modifications are duly disclosed. The insurer instantly refuses to cover the vehicle stating they would not have insured him given just one of the countless modifications due to his age. The car was seized as it was being driven with no insurance, the driver reported for driving with no insurance and driving a motor vehicle in a dangerous condition, with an altered exhaust/silencer etc. etc. By the time he found a specialist policy to insure the vehicle with all the modifications declared, the recovery/storage fees had amassed to £345. Then there are the minimum 6 points on his licence for the offences committed and fines and costs at court. The car is only worth a maximum of £1500, a painful lesson in why you shouldn’t lie to obtain insurance. But more importantly the original insurer will share the offender’s details with other insurers to warn them of his previous capacity to make false statements. Having a cancelled or voided policy because of a false statement will impact on your life in far many more ways than the resulting no insurance conviction, insurers don’t like high risk and those who fail to disclose true details upon incepting a policy, of any kind. And let’s not forget if the offence of making a false statement to obtain insurance, that’s a conviction disclosable in a great many circumstances, talk about limiting your life chances. Now an example of one who has been caught racing/trialling. It’s a usual Sunday night on Nechells Parkway in Birmingham, approximately 80 vehicles have gathered to race, drive dangerously, and watch the clowns at play. We’ve tracked the offending vehicles via ANPR and arrive 2 minutes after them, just as we enter the fray in an unmarked car getting great footage as 5 cars race on their makeshift Scalextric type oval, we pick the rear vehicle who is nearly on two wheels, tyres screeching to their grip limit as the driver tries to maintain contact with the bunch in front. He has his brand new Fiesta ST on the limit. He’s clearly racing, the driving is competitive, we close in and the stop is put on the Fiesta, the world suddenly drops out of the 19 year old driver’s life. In an instant he realises that as a new driver he is only allowed 6 points before a licence revocation. How’s he going to get to work, how will he ever get insured again, but it gets worse. As he’s reported for racing, a no insurance offence goes hand in hand, there isn’t an insurance company in the land that will cover you for illegal street racing, it’s quite clearly listed as a limitation to cover on policies. As the vehicle is uninsured for the purpose it is being used for, racing, it is duly seized. On trying to recover the vehicle the finance company is informed and they cancel the agreement. The insurer notes the impending charges for racing, due care, and no insurance, they authorise release of the vehicle and honour the policy under “normal” use until conviction, which will see a cancellation of the policy, insurers don’t like risk, especially drivers who engage in high risk offending. The wheels really come off this time ! And for those who have declared everything and are fully legal insurance wise, and are not racing trialling or being anti-social but have just turned up to “make up the numbers” we will always fall back to our “bread and butter” traffic skills, an altered exhaust or silencer will cost you £100 fine, number plate offences the same, lighting faults £50 an offence, the list is endless, be part of the problem and expect to be treated in a zero tolerance fashion. And if you read the details of the injunctions being granted to prevent cruising, your behaviour can cause a breach of the injunction far more easily than the manner of your driving. The extreme consequences of the car cruising scene and illegal street racing has seen fatal collisions, either going to, at, or coming from illegal events. This combined with the high priority to our community that the offences associated with the car cruising scene now have, mean that it really is no more smiley faced policing, the “Black Rats” will come after you at every opportunity whenever you are on the road. Don’t want to be one of our targets? Don’t want to be on the Operation Hercules ANPR hotlist, then don’t attend illegal car cruising or street racing events in our region, it really is that simple. This entry was posted in Blog, Traffic Blog, Uncategorized and tagged Car Cruising Street Racing, Operation Hercules, Police, Speeding, Traffic, West Midlands Police on April 16, 2016 by pchodson. Can You Hear Me At The Back ? Oh dear, here we go again, this may ruffle a few social media feathers but those who follow us on Twitter and read our blogs in full will know that we do and say everything for the right reasons, we don’t expect everyone to agree, infact we’re happy that some don’t, just read and then constructively try to save life and limb on our roads as we do. So let’s jump right in at the deep end as usual, and tell vulnerable road users, not just cyclists, just why they leave themselves at a distinct disadvantage when it comes to being safe on the road if you wear headphones.” Victim blaming you are” I hear you say in a Yoda like fashion as all the Jedi Masters of Social Media Road Safety all utter. Well no, hopefully the wise can see past our uniform and see that from our investigative experience we are just providing advice that will prevent you becoming a casualty. Plus remember cyclist vs cyclist, and cyclist vs pedestrian collisions are an unfortunate by product of increased cycling on our roads, headphone use can be a cause of some collisions, whether that be use by a cyclist, pedestrian or motorist. And as cyclists surely we have a moral duty to set an example to motorists. So as usual, grab yourself a coffee, a piece of calorific mood enhancer (cake to the uninitiated), and read on…..
Before reading on please bear in mind the following which are the usual criticisms thrown at any advice given that suggests wearing headphones will impair your safety on the road. “Driver’ stereo’s, don’t have a go at them do you”, Well yes we do actually. Yes drivers sometimes impair their own driving ability by having a stereo to loud or by wearing headphones themselves. If we come across a driver with music so loud or using headphones so it prevents them from hearing an emergency siren or warning horn then we will deal with them for driving without due care and attention or the offence of excessive noise. “The hearing impaired, surely headphone use is exactly the same”. Well no, you see they counter any deficiencies they have with their hearing with enhanced use of their other senses. They are usually also very acutely aware of vibrations. Their road use as a result is usually far better than those with full hearing. Those using headphones display none of the qualities we have just mentioned that the hearing impaired have. On one of our last Safer Cycling events at the Coventry Sky Ride we had an interesting conversation with four profoundly deaf cyclists whilst they completed our questionnaires. One of the questions we ask is what do you think we could do to improve cyclist safety. They all answered “deter headphone use amongst cyclists”, they really couldn’t understand why anyone would deprive themselves of such a fundamental advantage when it comes to staying safe on our roads, and advantage they were deprived of and knew all too well the problems it can cause. “It’s commonplace, everyone’s doing it so it can’t be that bad” All of us that cycle on CMPG Roads Policing has ridden with them on! Yes, total shocker I know but at some point all of us on the Safer Cycling Team have cycled with headphones on playing deafening music. A lot of the advice about to be given is as a result of near misses and experiences we have had whilst wearing headphones and cycling or walking as a pedestrian. Headphones, do theyhave any place in cycling on the roads ? Your ears give you a picture as to what is happening behind you. We react all the time to noises, take the ability to hear and react to noises caused by occurrences outside the periphery of your vision and you are at a distinct disadvantage. Even those who use some sort of mirror lose out. Cycling mirrors exist, but they are only any good whilst you are looking at them. A mirror will not give you an audible warning of a hazard approaching from any direction. You see with a little experience and perception what you hear can put you at a distinct advantage when it comes to being safe on the road. The noise of an approaching vehicle can tell you so much about the driver’s intent. Engine noise for a start, on hearing a vehicle approach from behind you will inevitably start to focus your attention on it. An increase in rev’s as the driver changes down a gear tells a lot about their intent. A change down in gear shows that the driver has seen you and the selection of a more responsive gear at higher rev’s may indicate that a purposeful planned pass will follow. Or it may indicate an intention to enter a nearby junction where a slower speed is needed. These are vital little clues as to the vehicle’s intention, from wherever it is approaching from, that you can build into your own plan. A vehicle approaching from behind will also give away its driver’s intent by other noises. The sound of cats eyes being depressed as the vehicle behind prepares to overtake, will give a good indication of the vehicle’s intended road position during an overtake and the also the regularity of the noise will give away its speed, and together with engine noise, give an indication of acceleration or deceleration. I once started to ride home in darkness with headphones on, in the thinking that all the things that I have just mentioned I could do without as the approaching vehicle’s lights would more than compensate as to driver intent and could be incorporated into my riding plan instead. After being passed in a matter of a few journeys by vehicles without lights on I quickly realised that my logic was misplaced and the headphones were left well and truly in the “been there done that didn’t like it pile”. Everyone else on our team has had similar experiences with headphone use, please learn from them. Headphone use means you will miss a shouted warning, the sound of a horn, the emergency sirens, the screech of the overworked tyres belonging to the overconfident aggressive driver, the excited squeal of children playing near the road, the barking dog attached to the extending lead about to become a tripwire on the shared path you are transcending, so much will be missed that you need to recognise and incorporate into your cycling to keep you and others safe. One last point about headphone use and this comes from my experiences of sharing the road with other cyclists and pedestrians. I don’t have a bell on any of my bikes, so when passing another cyclist or pedestrian I will shout something along the lines of “passing right” to let them know I will be passing in close proximity. You can probably guess what comes next, don’t expect shoulder checks from poor road users, and expect them to be wearing headphones and to be totally clueless as to your presence and intentions. The Future is bright; the Future is ……well yours to decide! We’ve mentioned it a few times before, on Twitter and to those that attend our events, but for those who don’t know this is how we on CMPG Roads Policing now split our efforts when it comes to dealing with issues around cyclists and cycling.. 20% of our time is spent on educating and changing cyclist’s attitudes and behaviour. The remaining 80% we spend on driver behaviour, education and equipping those without the skills to lookout for, recognise and safely deal with the ever increasing very welcome but very vulnerable road users we find on our regions roads. We go out actively seeking to witness poor driving, hunting those compromising vulnerable road users safety and act upon it. Plain cars and officers spotting in plain clothes will be on popular commuting routes proactively seeking to deal with those endangering themselves and more importantly vulnerable road users. But there needs to be a balance, for every ying there must be a yang, for the persecuted motorist will shout from the front pages of the motoring favouring press “What about those demon cyclists, those who endanger my fragile happiness on my daily commute with their incessant law breaking, riding on the pavement, without lights or running red lights”. Well although our cyclists are not killing 80 to 90 people on our regions roads, which is what poor driver behaviour currently accounts for in the West Midlands Region, the law after all is the law and we must enforce it to cater for the needs of all those we serve. So we come to the somewhat “prickly” subject of tackling cyclists who break the law. You notice I have said “Tackling” rather than “Prosecute” because as with all our efforts at CMPG we look to educate and change road user behaviour for the better in the first instance where possible rather than prosecute. So when we find a cyclist committing an infringement which needs tackling, we will always offer an alternative to the usual fine where possible, whether that’s as simple as buying a set of lights or attending a free Bike Right course in order to avoid the inevitable fine, but I’m sure you’ll all agree, it’s better to solve a problem by creating another preacher to spread the gospel of the good road user rather than chip away at the national debt. 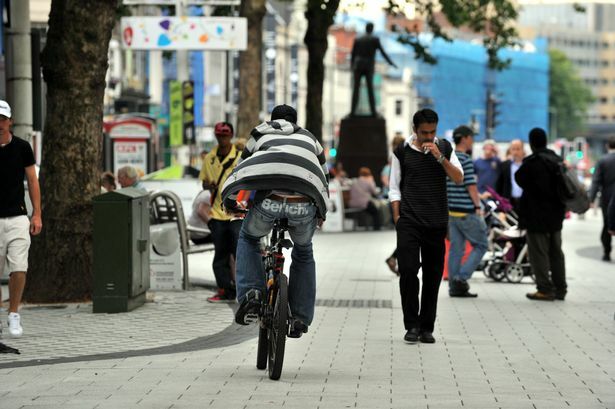 Cycling on the pavement, a mere nuisance or a dangerous offence that should be tackled ? Anyway, this leads us onto what should we be dealing with cyclists for. This is where you come in, what offences do you as cyclists think fellow cyclists should be dealt with for, where should we concentrate our efforts to have the greatest impact. On the 11th November 2015 we will have an open forum on the subject at the West Midlands Cycling Forum, from which we will pick the areas on which we concentrate. Can’t make the meeting? Let us know your views via our Twitter account using the #SaferCycling tag, we value them and all will be taken into account. This is your chance to shape the future of road safety in the West Midlands, don’t miss out. Enjoy your coffee and cake?, Good best go and burn it off, safe riding all. Until the next time safe journeys all. 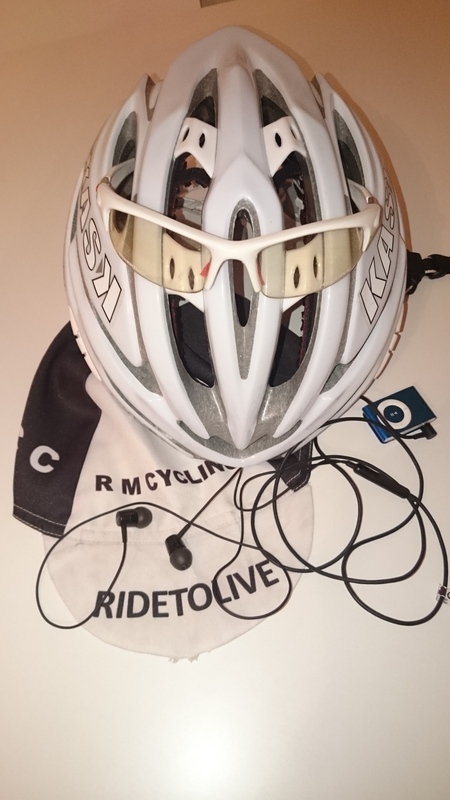 This entry was posted in Blog, Safer Cycling, Uncategorized and tagged bicycle, CMPG, Cycling, headphones, Pavement, Police, Policing, safer cycling, twitter, West Midlands Police on October 31, 2015 by pchodson. Most people detest the idea of the “Big Brother” type society, always being watched, monitored and effectively having your natural behaviour and reactions manipulated by the presence of the all-seeing eyes that we all have become oblivious to, that’s right cameras. But why is it then that sales of vehicle born cameras are at an all-time high. Those same people who in one breath will condemn an intrusion into their privacy at one level will be more than happy to strap a sports style action camera to the front of their bike or cycle helmet, and motorists will eagerly stick a “dashcam” into their car. Some will say it is for their own protection, it’s a safeguard, others will be accused of being “wanna be traffic cops”, and lastly some have to, they have no choice, fleet and company policies will dictate the use of a camera. We’ve been promising this one for a while, but such is the amount of interest in this subject I felt it only right that we wait, and knowing that the West Midlands Police was going to introduce a new way of “self-reporting” due care and attention type road traffic offences, I wanted a couple of test cases to show exactly what can go right and wrong. But more importantly I wanted to experience the use of cameras and their effectiveness in reporting and prosecuting road traffic offences from a member of the public’s viewpoint. You see even though as a traffic officer I drive a car that has its every move and sound recorded from the moment I get in to the moment I hang up the keys and go home, I have never had any interest in having that same security, or is it scrutiny?, in my social, domestic and pleasure road going experiences. So to do it properly early this year I purchased a high definition camera that has been accompanying me on all my cycling adventures and commutes. Prior to this I have never felt it necessary to have a camera, whether that’s because our day to day experiences as traffic officers make us immune to the fears and worries others have when using the roads, or maybe it’s because our enhanced road sense and occupationally trained defensive style of road use results in us experiencing far less moments of worry than other road users. Which ever it was the results have been interesting and not what you may expect. In 5 months of riding with a camera, day in, day out I have only been involved in one incident that I have considered worthy of reporting. I don’t for a minute think this is the “norm” though, looking at the experiences of other “vulnerable” road users I know it must be because of my defensive riding style and my abnormal perception of what others might rate as a “reportable incident”, which is altered greatly by my day to day experiences as a traffic officer. After all, I’ve become accustomed to being rammed and driven at regularly, so witnessing a blatant offence, a close pass or having to take avoiding action due to a driver’s ill discipline just counts as a little unwanted attention to me, I’m not saying this is right, it’s just the way I’ve been conditioned through 16 years of being a police officer. You could say I save my reporting efforts for when the uniform is on. As well as the obvious cameras on our traffic cars you’d be surprised at just how many road going cameras are out there at the moment. Some ambulances and fire service vehicles carry cameras, as well as the cyclist’s and motorcyclists who have a camera on their helmets or bike, sometimes both front and rear facing. 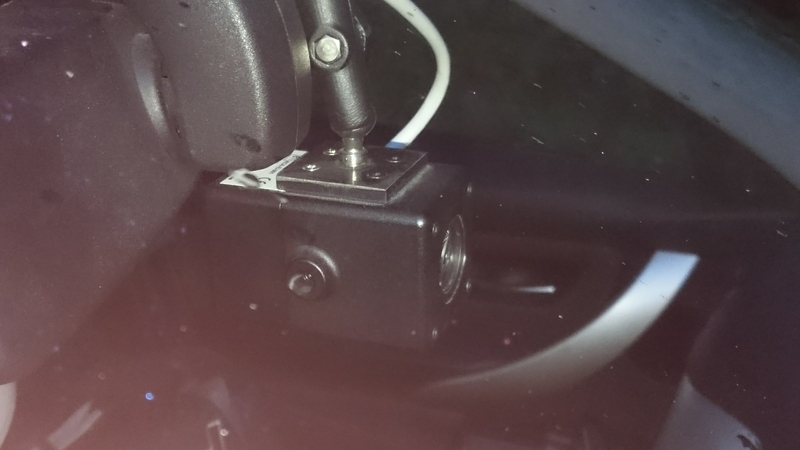 Increasing numbers of private motorists are fitting dashcams, you can even get them incorporated into your sat nav now. 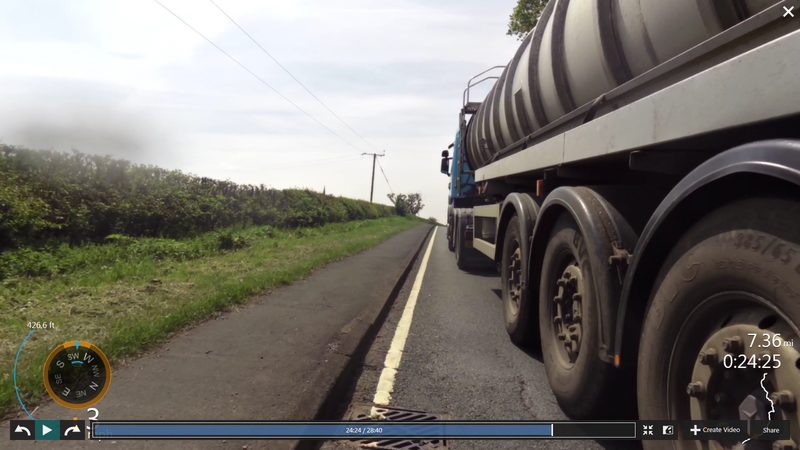 Lots of HGV’s have camera’s in the cab, most buses have cameras as do some taxi’s. It’s not improbable to foresee a time when road users without a recording device will be in the minority, after all the technology is now cheap, reliable and readily accessible. Won’t be long before a vehicle manufacturer offers camera’s as an optional extra on all its models, just wait and see. It’s not all a bed of roses…. It really isn’t a bed of roses you know, in fact camera use can be a proverbial crown of thorns. Camera’s capture all the good and all the bad in all road users, including the camera carrier. They can work against you as well as for you, take it from someone who is recorded and scrutinised in everything I do on the road whilst at work. So just to start we’ll run through some of the positives and negatives of using your own recording device on the road. The obvious benefit is in the event of a collision, it can show the reason for the collision and liability. But this could work in favour of the both the camera user and the non-camera user. Footage might show the camera user was liable for the collision, if someone see’s you have a camera and you don’t make the footage available questions will be asked, liability assumed, what is the camera user hiding ?, integrity and honesty questioned, are you starting to see the pitfalls already. The footage of an incident is all well and good but when presenting camera evidence you will need to also show the period prior and post incident. This reveals or dismisses any events or alleged events that may lead to an incident. The standard of your driving or riding prior to an incident will be looked at, your demeanour prior and post incident will be scrutinised, everything about you will be questioned. Footage from a dashcam that reveals blaring in vehicle music, a mobile phone conversation, or the road user displaying an aggressive demeanour using language littered with profanities all paints a picture and will affect both liability, prosecution and court decisions. So if you’re running a camera, its best behaviour at all times. One of the less obvious effects of an easily spotted camera is the way other road users start interacting with you. When I cycle with a camera on top of my helmet, which stands out, it is amazing how better vehicles start interacting with you on the road, passes become more considered, more space is given, I’ve got into the habit of almost turning my head to a side profile to display the fact I have a camera to traffic to the traffic approaching from the rear, the difference is significant. Put the camera on the handle bars where it is less obvious and traffic from the rear can’t see it and we’re back to the usual ill-considered passing. Maybe someone should start making cycling clothing with “Camera on Board” emblazoned across it and providing stickers for vehicles with the same message. The psychological and behavioural effect on road users if they realise they are being recorded and it can be used against them if their road use falls below the expected safe and competent standard is significant. Maybe we should make them compulsory,……hhmmmm anyone thinking George Orwells 1984 yet? Helmet mounted cameras, easily seen, do they offer protection in their own right ? Don’t change your behaviour if you use a camera. Don’t go looking for incidents or those committing offences. If this is the adventure that you do seek then consider joining the police instead, dealing with those who’s road use falls below the required standard is highly confrontational. Road rage is common and in the most unfortunate of cases people have lost their lives at the side of a road in altercations that commenced following a minor traffic incident. I’ve often said that aside from domestic incidents, when we go into someone’s home and start taking control, I’ve never seen an average person anger so quickly and become so confrontational with the police as when their standard of driving or riding is criticised, often despite the presence of insurmountable evidence proving their road use was sub-standard. This is because of firstly, the impact of any prosecution is often highly significant on their day to day lives, points will effect insurance, employment, fines are high and costly, and secondly it’s also because most road users take it as a personal infringement on their character, mainly due to the fact that most have never stopped and considered the standard of their own riding or driving. If an incident does occur and you capture it on camera, stay calm, do not interact with the offender, and remember you’re being recorded also by your camera. There will be a few that submit evidence of a minor traffic offence being committed which then goes on to show themselves committing a far more serious public order offence. Own goals are common in such situations, the offending road user ends up with an educational course or points, the reporting camera user ends up with a criminal record !. So you’ve got your camera, you’ve completed your journey during which you’ve been unfortunate to be involved in or witness an incident that you feel needs reporting and action being taken against the offending road user. What do you do next? Well if the incident was a collision and the police did not attend as it was a non-injury damage only collision, then you will need to report in the West Midlands Police area by way of a self-reporting form available from any Police Station front office or by calling 101. The report is completed by you and returned with the all important video, it goes to our traffic process offence and they will investigate the collision and deal with any resulting prosecutions. If the incident does not involve a collision and it is a “Due care and attention” type offence you wish to report then again it’s a trip to your nearest Police Station or call 101, only this time it’s the “Due Care / Driving Standards” self reporting form you will require. Again, the report is completed by you and returned with the all important video, it goes to our traffic process offence and they will investigate the incident and deal with any resulting prosecutions. With both submissions remember independent witnesses are just as important as quality video coverage. Video won’t show everything, trust me we have seen the best video footage miss vital evidence due to a fixed focus and direction, helmet cams usually don’t suffer from these deficiencies but dash cams and fixed point cameras on bikes will. Once your report is submitted the wheels of justice start turning, but please be aware they can turn very slowly due to necessary legal process and the usual administrative holdups that all prosecutions encounter. You see once your report is submitted the member of WMP staff dealing must send out a Notice of Intended Prosecution (NIP) to the vehicles keeper requesting driver details at the time of the incident. This must be done within 14 days of the incident. The recipient of the NIP then has 28 days to respond. If the keeper states someone else was driving then another NIP is sent to that person, with another 28 days to respond. Already you see you could have a maximum of 70 days before we are even in a position to commence a prosecution. The wheels can turn slowly and if your incident results in a court case this can be sometimes be up to 12 months after the actual incident. So don’t go expecting instant results, there are no such things as instant results when it comes to road traffic law. Firstly only report if you are prepared to attend court. The offender in your incident may settle for an educational type resolution or a conditional offer of points and a fine, but as we know all too well, most will defend their licences with the same tenacity as their family’s wellbeing, so always expect to attend court. To attend court you may need to take time off work, at court you can be cross examined by the defendant or their legal representative and enjoy all the same experiences we as traffic officers endure on a weekly basis. The rule here is the offending road users standard of driving or riding must have fallen below that expected of a safe and competent driver or rider. To put it in simple terms we are looking at single standalone incidents that would cause you to fail a driving test. Examples of this are contravening a give way at a junction, running a red light, mobile phone use, a close pass (by close we mean inches not feet), you get the idea. A true close pass, literally inches away caused by a badly planned overtake by the HGV on a blind crest. Examples we have recently prosecuted using camera footage include a cyclist who was forced to come to a stop to avoid a HGV that failed to give way at a traffic island, if the cyclist hadn’t stopped the results would have been unthinkable. Also a vehicle that carried out an overtake that contravened a keep left bollard and as a result nearly hit the reporting driver head on. These are the sorts of incident we want to know about and if the evidence is presented will gladly deal with the offender. We will only proceed if there is a realistic probability of a successful prosecution, a prosecution that must be in the public interest. If I tell you that two traffic officers with accompanying in car video can struggle to convince a court of an offending drivers offending you will start to get an idea of how convincing your self-reported incident and accompanying evidence will need to be. Last but not least if you are going to report an incident don’t post the footage on any social media site or the like until any proceedings have been finalised. Such clips bring with them views and comments, all might effect proceedings or prevent them. So if you feel you must share it with the Social Media masses prior to a court, take your 15 minutes of fame but reconsider reporting it to ourselves as you could jeopardise any prosecution before it has even started. Now after reading this you might think why even bother, well despite the popular misconception that we are not interested in these incidents, we truly are. The standards of road use are important to you and so they are important to us. We know how low the standards of road use can drop, we are out there 24/7 combatting the most dangerous. But we also know that we can’t be everywhere at once, some will always get away with it. But if the ever increasing amount of road going cameras means that those that previously got away with it will now see the their law breaking actions answered for, then it can only be a good thing. This is a new work stream for WMP, its new and developing, so please bear with us. We need a shift in the viewpoint of the masses to one where road traffic offending and its sometimes tragic consequences become socially unacceptable. If the growing trend of those with road going camera’s reporting offending becomes part of that, then we welcome it with open arms, please just stay safe and don’t become disillusioned if you don’t get the result you wanted when reporting or at court. Oh and also please realise this article has mentioned new and developing WMP policy and procedures regarding the public reporting road traffic offending and the submission of camera evidence in support. Your local force may not do the same, please be patient with them, due to the administrative and staff commitments such new work streams demand, some may struggle to keep pace with demand for a like approach given the current resource vs demand equation faced by police forces. One day hopefully it will be the accepted norm. 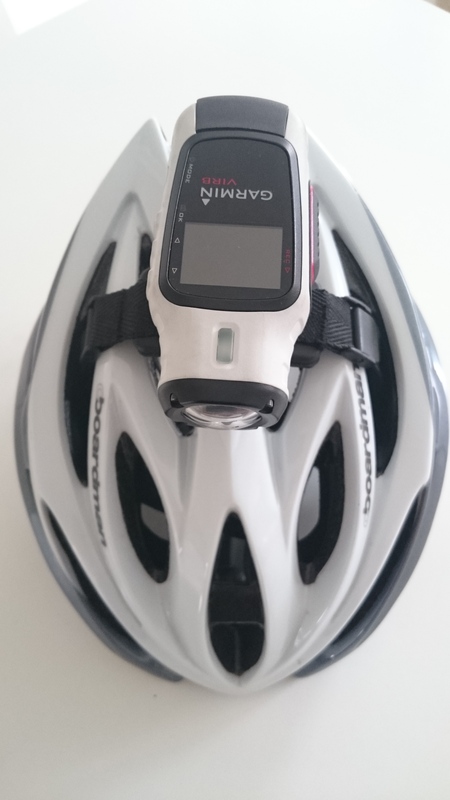 This entry was posted in Blog, Safer Cycling, Traffic Blog and tagged bicycle, camera, Cycling Helmets, distracted driving, mobile phone, Traffic, West Midlands Police on July 8, 2015 by pchodson. This edition of the blog is devoted to those who despite our best efforts at deterrent, and the constant media bombardment that tell them that their actions are potentially lethal; still persist in participating in what is becoming the most visible and public of all road traffic offences. I talk of course of the modern scourge of the road, the mobile phone user. A person with FOMO is the driver who lacks the ability, some may say intelligence or common sense to realise the possible result of their driving whilst using a phone. All because they just can’t stand being away from their mobile phone. Now this particular driver has no definable profile, as they come in all guises. You see them, I see them, everyone sees them, but still they don’t care. Their public show of offending may be an affront to the law abiding road user, but to them their interaction with the sacred device, social media or the person on the other end is far more important than someone’s life. I see one in every 15 or so vehicles whilst I walk my children to school, we have a carefully trained eye you see, and notice the tell-tale signs that show what appears to be a normal motorist to be the indiscriminate potential killer they really are. First comes the young female, quickly checking Facebook to see if her mates are still hung-over from the night before, her phone just below steering wheel height, she looks up every now and then just to make sure nothing has appeared in front of her as she takes a ton of steel down the road at just above 30mph. Then comes the middle aged businessman, phone glued to his right ear leaving just one hand free to control the car, it’s alright, it’s an auto, couldn’t figure out how to use the hands free in his all singing, all dancing executive mean machine you see, and he needs to rearrange the meeting he’s going too late for as the traffic’s just awful!. Next comes the delivery driver tapping his next destination into his sat nav app. It does have to be combined with a moving vehicle of course to reach its full destructive capabilities. Up next is the young male in his highly modified hot hatch, he’s had a text telling him where the next car meet is, don’t let on in case the Babylon find out it reads, be rude not to answer even though the Lollipop man has just stepped out into the road 50 yards away. Look up, oh its all too late ! A few seconds later the harassed mother swerves her way up the road, phone trapped between head and shoulder she tries to steer with one hand whilst pushing little Johnny back into his car seat as the little angel has got free of the straps again, why stop and re-arrange the evening’s Zumba class and sort Johnny out when you can make progress all at the same time. Traffic’s come to a standstill now, a driver quickly whips out the phone to check if that vibration was a missed message or call, as they look intently at their phone whilst stationary or rocking their vehicle back and forth on the clutch they miss the motorcyclist filtering, or the cyclist moving up the inside of them in the cycle lane. Both of which they hit as they pull away or turn left to take the “rat run” traffic-jam-avoiding next junction. Closely follows little Miss Innocent, phone in the hand, clearly on display, talking away but it’s held against the steering wheel or the usual 6 to 12 inches away from the face, she’s not breaking the law, or so she would have you believe, it’s on speaker phone so she thinks she’s fine, it’s not the same she thinks, trouble is she doesn’t think, that’s the problem. Last but not least comes the “sniper”, fast becoming the most common of the FOMO clan, the driver who appears to be paying full attention, they appear to be looking at the road but every now and then their face dips to their lap, not to admire their pristine lower office attire, but to check the phone placed in their lap. It’s hidden, no-one can see their offending, it’s guilt free, or so they think until it’s too late. You see inevitably they glance down at the wrong moment and the next thing they see is the face of the child they are about to hit on the crossing they didn’t notice. I know I’ve left out the tradesman arranging his next quote, the skip wagon driver, the scooter rider stuffing the phone up the side of an unstrapped helmet but as we all know the list is endless, sadly never ending. Is it worth someone’s life ? The mobile phone user is no better than a drink driver. They take the same risk, gamble with their own and, more importantly, other road users’ lives for their own selfish needs. The impairment to driving has been proven to be equal to driving whilst over the limit or under the influence of cannabis, so why isn’t the punishment the same I hear you cry, well that’s not a matter for the likes of the police; we just catch them, some time and time again. Sentencing is a matter for politicians and courts, under pressure from the public, feel free to make your feelings known to those whose responsibility it is to change such things, the more that shout and protest, the more they listen. But they don’t need to be told how high the offending rate is, they like any of us just need to stand at the side of a busy road for 15 minutes and you will see all the usual FOMO drivers. Feel free to have the punishment debate on our Twitter account; we are always interested in your views. Most who use a mobile whilst driving would not dream of drink driving, oh no that would be unthinkable, drink driving is criminal they would say, well so is driving whilst using a phone. The consequences of being caught are not the same to the offender; we need a culture change, the stigma associated with being a drink driver needs to become the same stigma we attach to the person with the disease known as FOMO. If you see a FOMO driver just point at them, they don’t like the attention, nobody likes being pointed at, the more people that point the more attention is drawn to them, embarrassment is a great deterrent. Refuse to get into a car with someone who uses their phone whilst driving, or makes the preparatory act of placing it in their lap. And for all those “snipers” out there who think they are getting away with it, the “prove it copper” brigade we will just prosecute you for driving a vehicle in a dangerous condition. We don’t have to prove your phone use, after all a phone in your lap is insecure, it could easily fall into the driver’s foot-well under normal vehicle movement, if it does the natural reaction is to hastily retrieve your £500 “sacred” device. As you bend down you’ll not have proper control, lose your view of the road, that’s if it doesn’t impair a pedal causing further loss of control. We’ve done it with taxi radios for years, your oversized smartphone is no different. For those who say that wouldn’t happen, try finding a magistrate who would disagree, we’ll see you in court. The best thing to do with your phone, unless you have a dash cradle to put it in, is to put it in the boot, then it’s out of harm’s way, it will still Bluetooth to your car or hands free, so what are you losing, nothing apart from the temptation to answer. Just get over your FOMO, is that Tweet, Facebook post, Instagram, Snapchat (I could go on and on) really worth the life of an innocent road user? This entry was posted in Blog, Traffic Blog and tagged distracted driving, mobile phone, Police, texting, Traffic, West Midlands Police on May 21, 2015 by pchodson. This blog is all about those things that detrimentally affect a road user’s vision and as a result endanger themselves and others. Your vision, your observations, your ability to see and then react to a potential hazard on the road is the start and most important part of everything you do on a journey, whether you are on foot, two wheels, four wheels or more. Yet some seem intent on compromising their own and others safety for what is usually a blindingly obvious obstruction to seeing what is around you on the road. Remember, unless you are blessed with some supernatural or superhero style power, you can only deal with what you see. If you fail to see another road user there is a high probability that you or they will suffer as a result…. Okay let’s start with the obvious, tinted driving windows. These are great on bright sunny days and pose no obvious risk under such circumstances. However, as we can count how many such days we have here in the UK and not run out of fingers, and add to that we have something called “nightime” where the sun disappears to be replaced by the moon, you will start to see the problem. For those who still don’t get it, would you chose to drive wearing dark sunglasses all of the time in all conditions ?, try walking down the road in sunglasses at night, your reactions will range from discomforting to petrifying when you realise what you cannot see, imagine having that view out of your driving windows 24/7 ! Tinted drivers windows, a potential “killer” of vulnerable road users ! The most worrying thing about tinted windows, as with any obstruction to a road user’s view of the road, is that it is the easily missed, less obvious road user that becomes the potential victim. The pedestrian in dark clothing, the poorly lit cyclist, the small child walking from a shaded area, the motorcyclist as you pull from a junction, these are the people that the wilful ignorance of those who drive with obstructions to their vision will hurt. Windows down and the excuses! Most realise there is a problem with their windows if they are tinted, having to wind the window down in order to get a view out of a wing mirror when reversing at night makes it very obvious that window tints can cause all sorts of problems in every day road use. When we stop those “car enthusiasts” in freezing weather or pouring rain and both driver windows are down before we get to speak to them !, we automatically know that they are hiding a potential killer of a defect from us, all for the sake of “blinging” their motor !. Then there are those who utter “But I bought it like this” or “they told me they were legal”. Really? How can anyone think a modification to a vehicle that a manufacturer doesn’t offer can possibly be legal, after all, the manufacturer’s exist to make money, if they could, they would. Whilst on the subject of modifications, window tinting is a modification that you will need to notify your insurer of, tinted drivers windows that are illegal will invalidate your insurance, and as you will find out as you read on, there really is no such thing as legal after- market tint that can be applied to driver’s windows. So as well as the potential 3 points you could get for your tints, you also come straight into play for another 6 points for a no insurance offence, ouch ! What is legal? How do we test? What will I get? Right let’s start with what are my driving windows? Well there’s the obvious one the windscreen, the other drivers windows are those situated in the driver and front passenger doors, quite simply, those in-front and adjacent to the driver. Imagine the windows on a transit style van; those are the very windows we are concerned with on your vehicle. 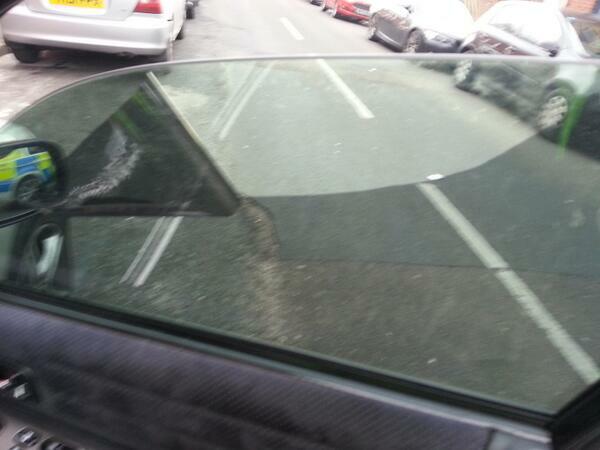 Now here’s why you cannot apply a legal tint to any driver’s window in the UK. Manufacturers of vehicles already tint the glass in vehicles to just below the legal limit, so they transmit enough light to comply. The law states that your windscreen must transmit 75% of the available light; your two side driver’s windows must transmit 70% of the available light. Manufacturer’s tint the glass at production so it transmits just over these amounts by a few percent, so soon as you add any post production tint, no matter how light it is, makes your drivers windows illegal and you liable to prosecution. 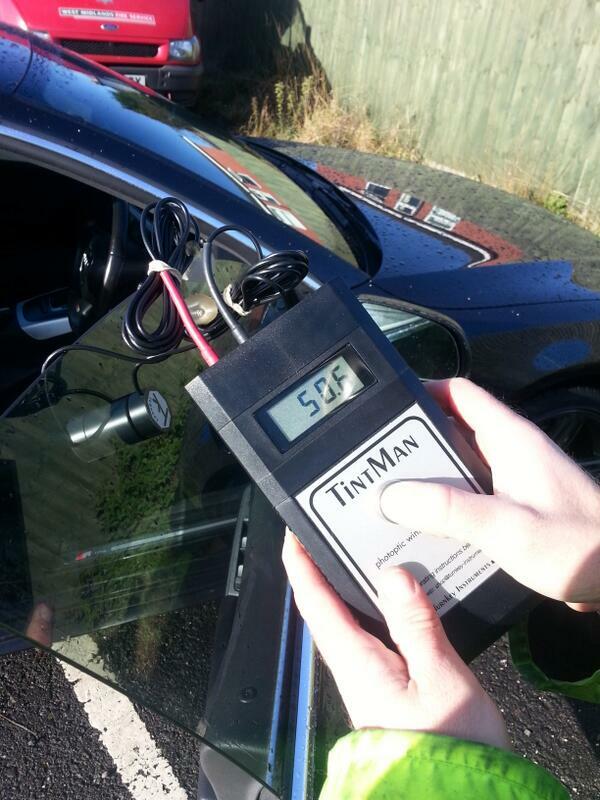 Penalties for illegally tinted windows are on a sliding scale depending on the severity of the offending window tint. Between 100% and 70 % or 75% (depending on the window) your windows are legal and you skip away into the sunset singing a merry song, between 70 % and 50 % you’ll get a Vehicle Defect Rectification Notice ensuring you remove the tints within 14 days, between 50% and 30% you will get a £100 fine and will have to remove the tints at the roadside whilst grumbling somewhat. Get stopped with tints that only transmit between 30 % and 0 % of the available light and you’ll be earning 3 points, a £100 fine, or alternatively a day out at court. If you are wondering, most of the Tints we test are usually below 30%. Oh and yes you will be removing the tints at the roadside leaving a sticky mess all over your windows whilst thanking the officer for bringing the matter to your attention. The worst case scenario is you are involved in a collision resulting in someone being seriously injured or even dying and your illegally tinted windows are found to be a contributory factor, you will then face a prison sentence as your vehicle was in a dangerous condition, and knowingly driving a vehicle in a dangerous condition is dangerous driving. Oh and if you refuse to remove your tints at the roadside we will prohibit your vehicle from being driven due to its dangerous condition by way of a PG9 prohibition notice. We have calibrated eyes that detect tinted windows, it happens during the Traffic Patrol Officers course when we get a bionic implant. Aside from that, it’s really is obvious, illegally tinted windows look considerably darker than legal windows. Once stopped we test the windows using one of two calibrated devices that measure the transmission of light through glass, a “TINTMAN” or a “TINT TESTER”. Both give a transmission of light figure that we then use in any prosecution should your windows prove to be illegal. Tints tested for freeeeeeeee ! The first of these events will be at the Halfords Store, Coventry Road, Sheldon, Birmingham on Saturday 25th April from 5pm to 7pm, you’ll spot the marked car on the car park. Keep an eye on our Twitter feed for future dates and locations, we will get around the whole of the force over the coming month giving everyone ample opportunity to avoid a potential prosecution. But inevitably the highest price you will pay as a motorcyclist when you miss something is paying with your life, just carry a clear visor for when light conditions deteriorate. Pedestrians you are road users, as such you need to look where you’re going, not at your phone! All too often pedestrians are walking out into the road or using crossings whilst looking at their phone instead of what’s coming down the road towards them. There isn’t an app yet that tells you if it’s safe to cross, so look up from your phone and give it your full attention. Remember cyclists are silent on approach until the point you step out in front of them. Then we tend to become quite vocal, not always in a pleasant manner, that’s if it’s not too late! So please remember the “Stop, Look, Listen”. Save the phone based activities for when you’re seated in your favourite coffee house. 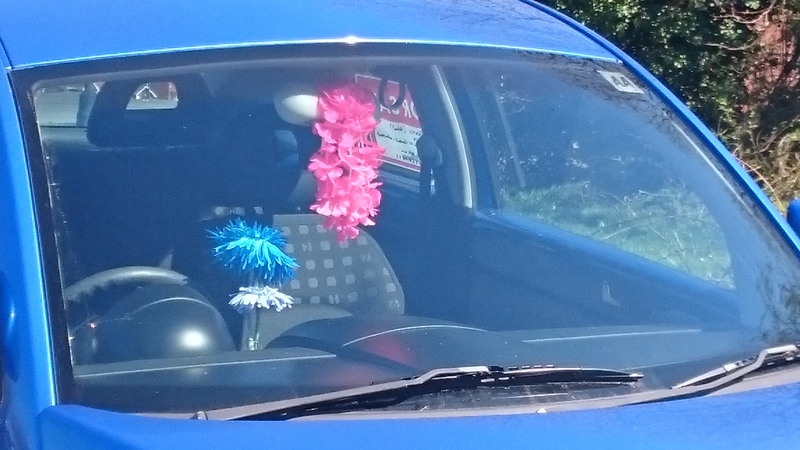 Flowers, Sat Navs, Trinkets and the just plain ridiculous! Now I’m no Percy Thrower or Alan Titchmarsh but even I know that flowers belong in two places, in the ground or in a vase, but certainly not hanging from your rear view mirror or the like, so they sit in the driver’s vision. VW drivers take note, if you must have them why not wear them round your neck and spread a little love and happiness, instead of giving yourself chance of missing that vulnerable road user and spreading misery and pain as a result !, It’s just not flowers, we see all manner of trinkets and paraphernalia dangling in-front of drivers views, they may not obstruct your immediate view ahead but your peripheral vision to the left and your view into junctions as you turn left ends up having a blind spot which due to perspective can be over 20 feet wide at a distance you’ll reach in seconds at 30 or 40 mph, there could be a crossing child in that blind spot ! Flowers are for the ground or vases not your windscreen ! The golden rule is keep the swept area of your windscreen and views to the side through the driver’s side windows clear of any obstruction to view. So don’t stick you Sat Nav in the swept area of your windscreen, or your phone or anything else for that matter. Again it may only be inches wide on your screen, but in the distance it’s hiding a space that is feet wide, what’s in that space? You really need to know to ensure your own and everyone else’s safety. Onto the plain ridiculous, we once stopped a driver with a two foot teddy sitting on the dash, you could say childlike behaviour, but I know my kids have got more common sense than that, sheer idiocy is more befitting. And then there was the HGV driver with more collected ornaments and trinkets on his dash and stuck to his windscreen than my Nan had in her china cabinet, its only 44 tonnes at 56mph, what could possibly go wrong if he missed something! I’m sure you’ve seen similar, that’s the great thing about road traffic law, we’re all out there on the regions roads experiencing this sort of stupidity daily, feel free to share your little gems on our Twitter account, we’re always interested in the sublime and ridiculous, oh and donuts we’re very interested in those as well 😉 ………..safe journeys all. 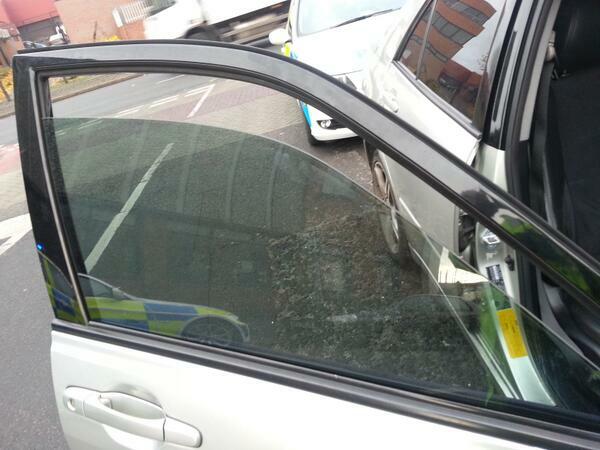 This entry was posted in Traffic Blog and tagged driver's view, driver's windows, Police, Policing, tinted windows, tints, Traffic, twitter, West Midlands Police on April 19, 2015 by pchodson.